Finke Gorge is a national park in the Northern Territory of Australia, which is approximately 1310 kms south of Darwin. 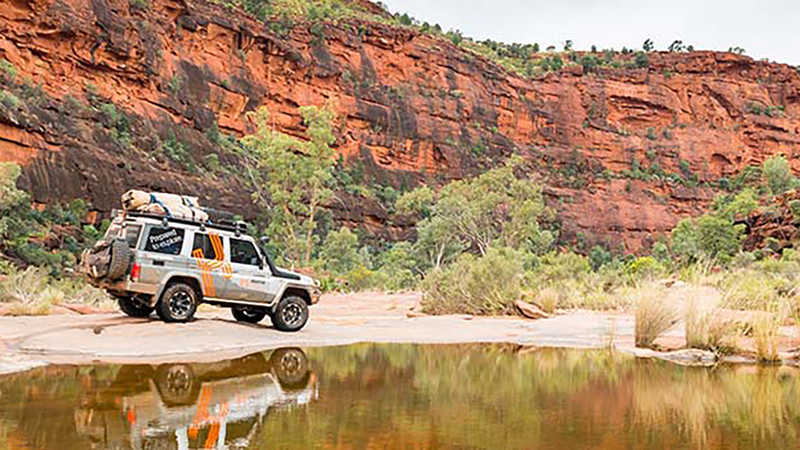 Finke Gorge National Park occupies an area of about 46,000 hectares. The National Park is famous for the impressive Palm Valley where the Red Cabbage palms grow. The Palm Valley shelters a diverse range of plant species many of which are rare and unique to the region. Finke Gorge National Park, an important wilderness reserve with ancient landscape protects one of the oldest rivers in the world, The Finke River. The facilities like camping, picnic, walking the trails, enjoying four-wheel driving are available in the large National Park and to access the Park, a 4WD is required. The park remains open all the year round but sometimes may be closed due to heavy rains. However, the best time to visit the Park is from April to September. Ranger station – only for emergency contact.